Loved the room and the soaps etc in the room. Ugh better than little plastic bottles, the staff were kind and helpful. The reading room was beautiful and we loved the tea coffee and hot chocolate in the lounge. Great location for our first visit to Melbourne to see the city and very convenient for arrival by bus from Airport and departure by bus to Hall's Gap. Loved the location, shame about parking, great staff and first rate service. Will use it again and recommend. Location was good and the rooms had everything you needed. We had a very comfortable stay and on the whole we were made to feel very welcome. We only had 1 experience when we wanted a coffee at 9:35 in the evening and distinctly got the impression that we were in the staff member's way and she wanted to go home. Other than that all the staff were exceptional. This was the 2nd time i have stayed here. 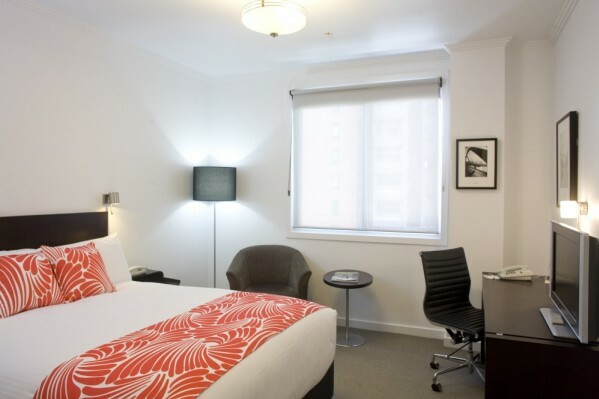 Very helpful and pleasure staff, beds great wil be my go to pace when staying in the city. Enjoyable, good value. I would come back again. hotel staffs are friendly and helpful. Room is very clean and well maintained. Keep it up. We have travelled a lot and I have say that all the staff are amongst the best we have come across. The Cooks, reception staff and cleaners everyone is very helpful polite and friendly. They also do one best breakfasts. Great selection and well prepared. Very good. Staff friendly and helpful . The room was ready when i arrived. Breakfast was good , and a good variety of choices. The staff at breakfast were very happy and cheerful. Overall a good experience again. Always love coming back and staying at the Alto. We've stayed at Alto several times and always enjoy our stay. It is well located on the Free Tram line, next to Southern Cross Station and a walk if you want to the city center. staff are always friendly and helpful and the beds are great. We always have a great time here. Lovely stay overall. Great breakfeasts, great beds and rooms. Great hotel. Really lovely place away from home. Central. Trams out the front which was fab. Great rooms, excellent bed and pillows, very clean, all staff were friendly and very helpful from the waitress staff in the breakfast dinning (buffet excellent value), front desk and even the room cleaning staff. Very impressed with the hotel as it felt quaint and homely- not sterile like the big chain hotels. 100% will recommend this to others and we will stay here again next time in Melbourne. Great to stay at a hotel that takes its environmental commitments seriously. Thanks! Thanks, great stay, great food, great staff in a central location. Thanks for the 24-hour tea and apples. Foxtel in lounge area difficult to use due to box stored in a different area of the room. The staff were friendly and very helpful, which made our short stay enjoyable. I enjoy the included wifi, simple but sufficient breakfast menu and location close to public transport. The hotel's green credentials and reasonable prices make it an easy recommendation. Clean, comfortable rooms and wonderful, helpful staff. Can't ask for more than that. Staff were wonderful. Quiet unobtrusive but there when you needed them. Breakfast was great. I only have a small appetite so apologies to the kitchen. Friendly helpful staff, rooms clean and set up per profile ( bedding needs). Love the apples in the foyer. Like the eco friendliness and the location. Easy to get to areas around the CBD and access to transport to other areas right outside the door. Great venue and always recommend to friends. Thanks. Very enjoyable short stay. Staff were very helpful. Love the energy efficient and sustainability initiatives. Only small suggestion would be better coffee downstairs or plunge coffee available in the room. That could be charge to room. always consistently great value, service and location. it's so easy to get to from the airport as the skybus terminal just metres away at southern cross station! close to movida (our favourite restaurant) and shopping....also many woolies metros supermarkets nearby. My night at Alto was very enjoyable. I will definitely come back here to stay. Our fourth stay at Alto Hotel and very happy with it too. Staff are very friendly and helpful - we left our bags in the store on our check out day and came back later in the afternoon to collect them and relax in the lounge for half an hour before we left to come home. The chocolates too were great. I was a little disappointed to see our "book early, pay and save rate" was actually higher than the same online rate with you a day or two before our stay. Booked a petite room but then upgraded to a 2 bedroom apartment. This apartment was excellent, comfortable bedding and all the amenities i could ask for. Many thanks, would love to have stayed longer. Once again every member of staff was friendly and helpful, the location is fantastic for a few days short stay, between cultural events and shopping. Fantastic as always. Menu could be a little more varied but overall very good. This continues to be my favorite hotel in Melbourne. Consistently excellent service and facilities.